In the days of the Habsburg Empire, nearly every geography class in central Europe would have had a globe made by Felkl & Sohn. At its peak, the family factory north of Prague was producing some 15,000 terrestrial and celestial globes every year. The decline began between the world wars, as Jan Felkl’s own world became smaller and smaller. Jan Felkl (Photo: Exhibition catalogue „Jan Felkl &amp; syn. Továrna na glóby/Jan Felkl &amp; son, a Globe-Making Factory“) Jan Felkl, born in 1817 the son of an ethnic German farmer from a tiny eastern Bohemian village, was something of a dreamer with a unique world view, so to speak, though not particularly well travelled himself. 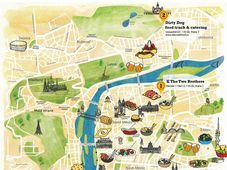 Eva Novotná, director of the map collection at Charles University, was commissioned to write a history of the company to commemorate the 200th anniversary of Felkl’s birth and helped design an exhibition in his honour, now on display in Roztoky. A Czech cartographer may also have inspired and later indirectly supported Felkl’s globe-making business. After being discharged from the Austro-Hungarian army, he found work as a clerk in a Prague post office. There, he came to know the renowned copper printer and cartographer Václav Merklas, who in 1848 created the first Czech terrestrial globe, which he began manufacturing it with other educational products. A few years later, Merklas took a position as a secondary school teacher and turned over the business to Felkl. "He got to know Václav Merklas and his circle of friends In Prague. What’s quite interesting is they were all patriots who made geographic teaching aids and globes in the Czech language, who sold them – secretly – in markets and inns. But that company soon failed. And in around 1851, Merklas left Prague, leaving Felkl with all the equipment." Photo: Exhibition catalogue „Jan Felkl &amp; syn. 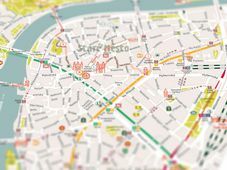 Továrna na glóby/Jan Felkl &amp; son, a Globe-Making Factory“ Over the next few years, Felkl worked to build his own company, located on in the heart of Prague by the Vltava River, on the street known today as Karoliny Světlé. By 1854, he had an official entry in the business register, says Eva Novotná. What may come as a surprise, she says, is that in those days many a worldly man would sport not just a pocket watch on a chain but a pocket-sized globe, quite handy when talk turned to the latest developments in geopolitics. 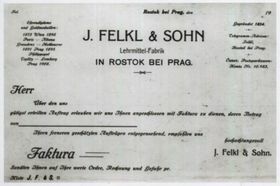 At first Felkl concentrated on German-language products. But business was booming, with orders coming in from, well, across the globe, and he soon expanded his range. Nearly up until the turn of the century, Felkl enjoyed a monopoly in the Austro-Hungarian Empire. His first major international success came at the World’s Fair in Paris, in 1867. No one else had so globes in so many different languages on offer. That success was followed by awards in Vienna, Prague and Plovdiv, Bulgaria. Photo: Exhibition catalogue „Jan Felkl &amp; syn. Továrna na glóby/Jan Felkl &amp; son, a Globe-Making Factory“ “He incorporated these gold medals into the company letterhead, which of course was a good promotion. Quite important was that the globes became official teaching aids – as early as 1870, every school had to have a globe. 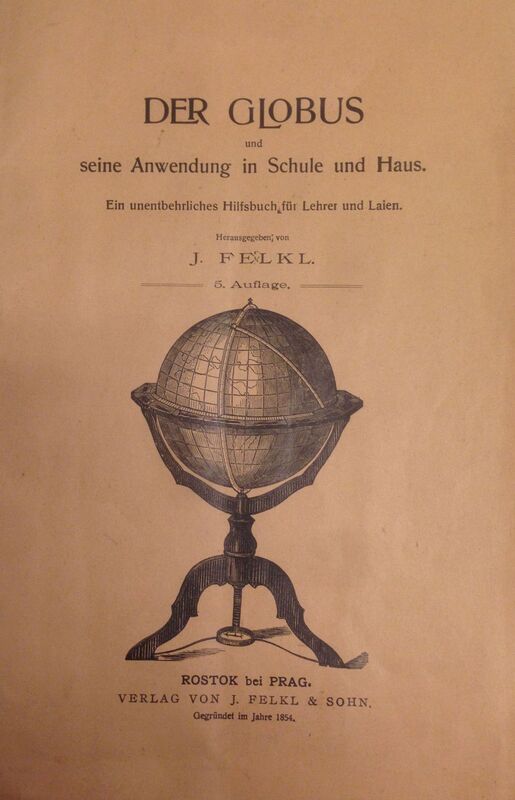 And Felkl’s globes met the requirements set by the Austro-Hungarian Ministry of Education." 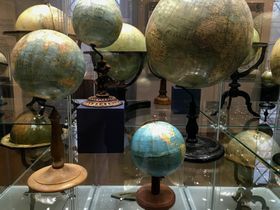 "Jan Felkl himself was quite handy and made some of the early celestial globes, but he relied heavily on a circle of professors who made the geographical inscriptions for him. First of all, a map was made. Then the authors drew a map of the Earth or the stars in the sky, because globes were usually created in pairs, one of the earth and a celestial globe." But the work did not end there. It was a good time to be in the globe-making business, as borders were shifting with the rise and fall of monarchies, and understanding of the planet was changing along with epic explorations. Photo: Exhibition catalogue „Jan Felkl &amp; syn. 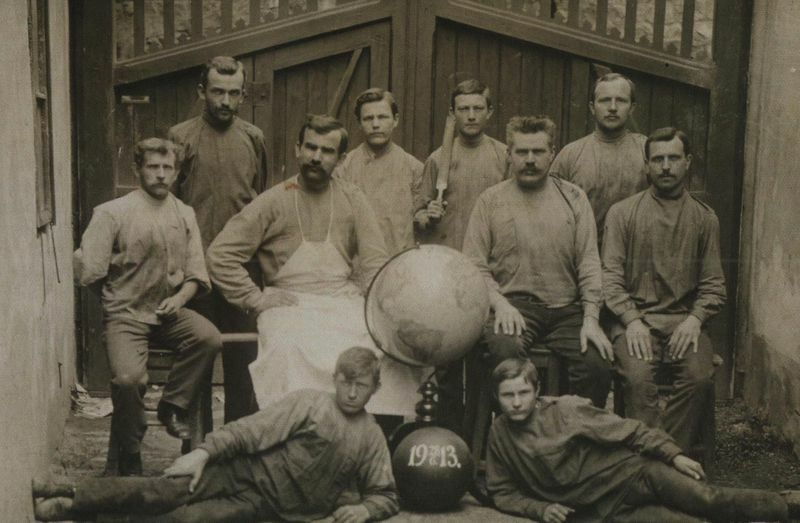 Továrna na glóby/Jan Felkl &amp; son, a Globe-Making Factory“ Today, only a few hundred of Felkl’s classic globes are known to survive, with most in the former Czechoslovakia, and Austria. A quick search online of Felkl & Sohn yields listings at auction houses, with some selling for thousands of euros. But while researchers have uncovered many specimens in recent years, in many cases geographers cannot say precisely when they were made, says Eva Novotná. Jan Felkl himself died a few years after that cartographical shift. At the time, he had nine children, who inherited a thriving business with a range of products – from black slate induction globes, orrery and tellurian devices, showing the movement of our planets and the solar system. At first, it was his youngest son, Zikmund, who took over the business; with his premature death in 1894, the eldest son, Ferdinand took up the reins; he added lunarium devices charting the phases of the moon, as well as other unique globe designs that could be unfolded and hung from classroom blackboards. 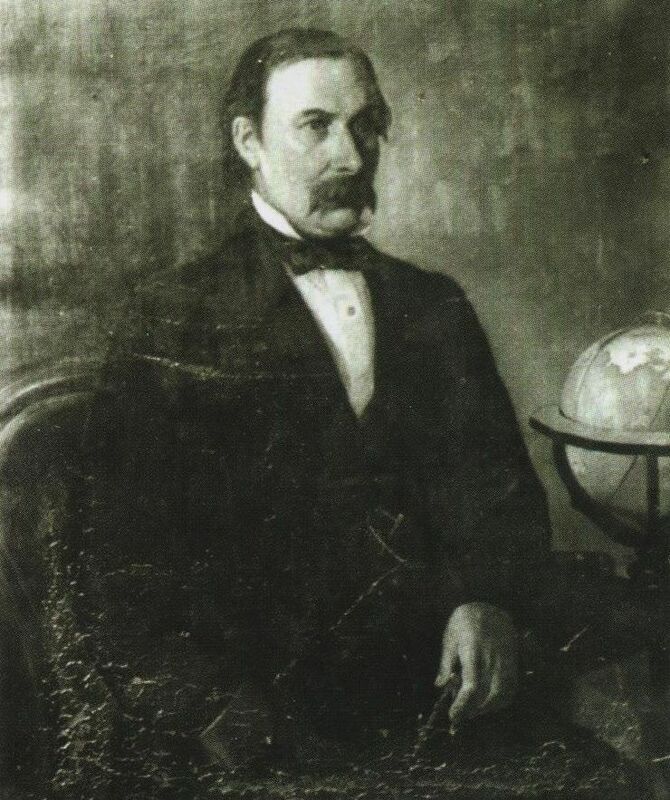 Ferdinand Felkl, who previously managed the company’s Vienna branch, was considered quite a resourceful businessman. 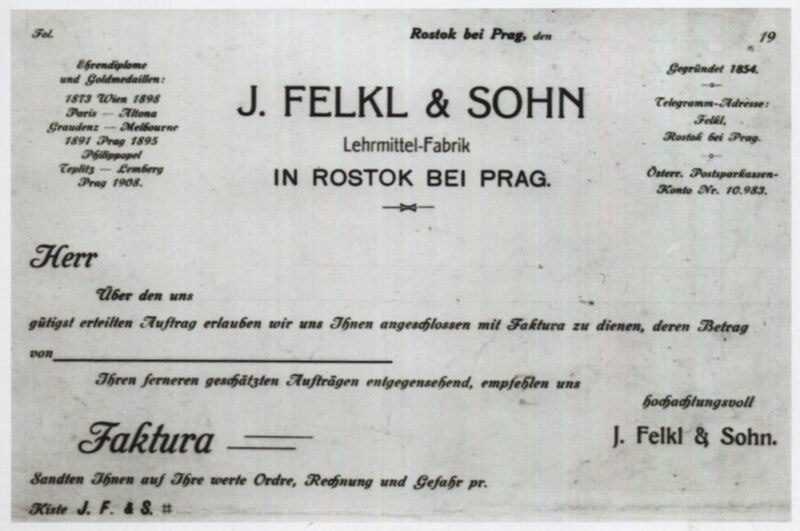 He went on to lead Felkl & Sohn for three decades, during which time, apart from introducing new products, and switching to making mainly cardboard globes, he doubled the number of employees. Photo: Annette Kraus Mr Lohr’s dividable flat globe was Felkl & Sohn’s last major coup before the onset of the First World War in 1914. Production was all but suspended, not fully back up to speed until 1921, says. Eva Novotná. While Ferdinand Felkl died in 1925, the death knell for the company sounded two decades later, when legal squabbles among the heirs were eclipsed by the Second World War, which again halted production. Vilém Kraupner, a great-grandson of the patriarch Jan Felkl, would be the last private owner of the factory. The exhibition catalogue is bilingual Czech and English: Eva Novotná: "Jan Felkl & syn. Továrna na glóby / Jan Felkl & son, a Globe-Making Factory ", ed. from the Prague Charles University, Prague 2017. 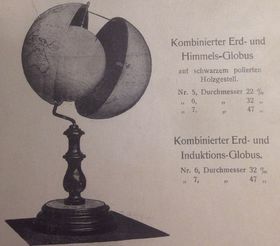 With its handmade globes, Felkl & Sohn simply could not longer compete with mass production factories, and of course could not take out a loan to finance an overhaul of the factory. In 1952, the production in Roztoky ended. And in the 1970s, sadly, the family factory on Riegrová Street was demolished to give way to a car park. The world keeps spinning.